If you are not already on the quinoa bandwagon, you should be. This South American grain-like super food makes the perfect side to any meal or can be enjoyed as a main dish. Its light, refreshing, has great texture, is vegan and vegetarian friendly and so very healthy. There are a thousands of different ways to prepare it, here is one of my favorites. In a pot, bring corn to a boil and remove from heat, let sit for 5 minutes, covered. 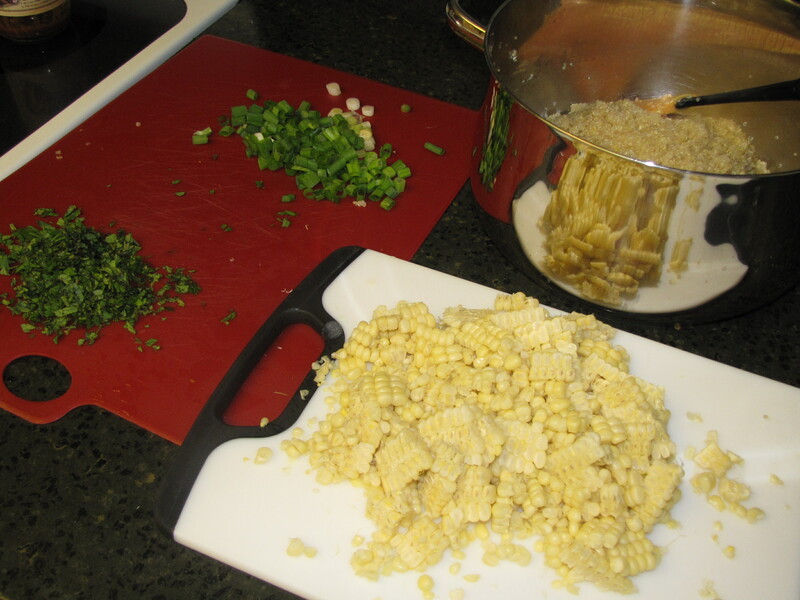 Remove corn, when cool enough to handle, cut kernals off cob. In a bowl, wisk lemon zest, lemon juice, butter, honey, salt and pepper, set aside. In a pot, combine 2 cups of quinoa and 5 1/2 cups of water, cover, bring to boil, reduce heat and simmer for 15 minutes or until quinoa is tender and water is absorbed. 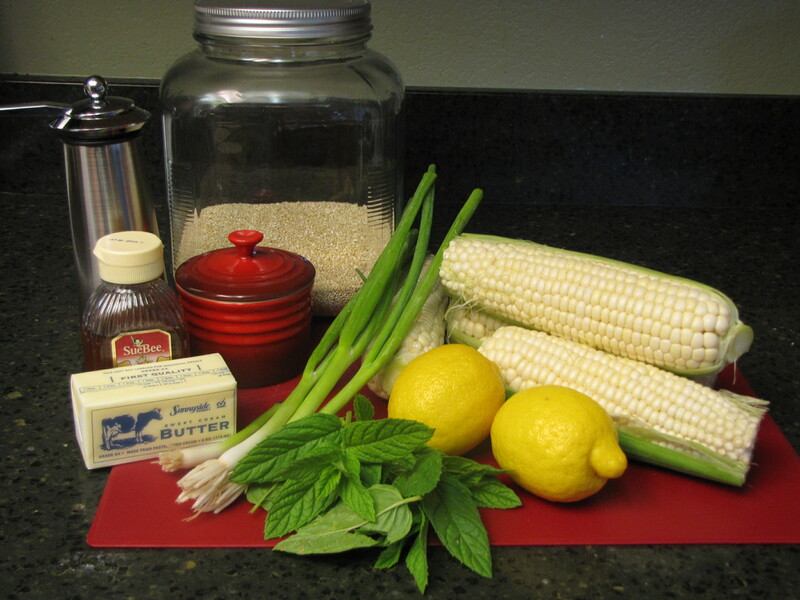 Allow quinoa to cool, mix in lemon mixture. 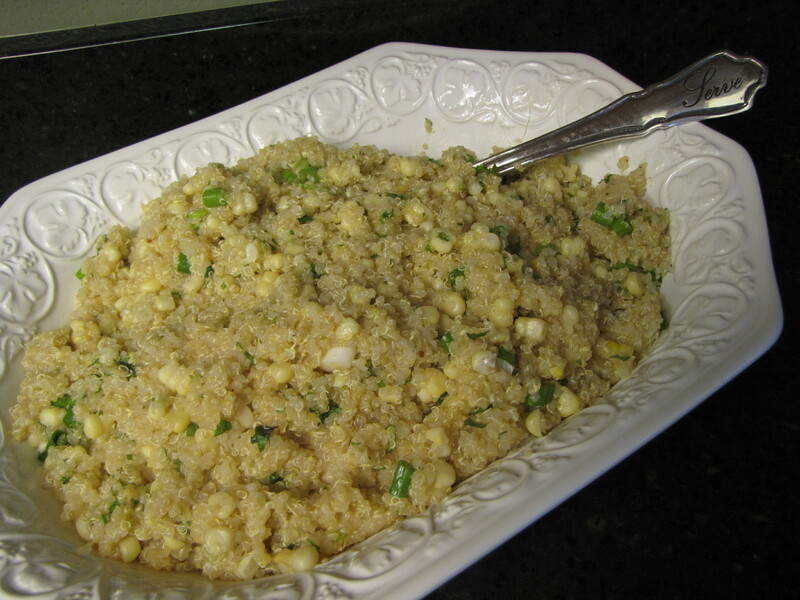 Mix in mint, scallions, and corn. Add more salt, pepper and lemon juice to taste. Chill in fridge, best when served cold. You can cut the recipe in half its only for a 2-3 people, the leftovers are only good for 1-2 days max before the quinoa starts to dry out.